The Lawrence Children’s Choir (LCC), established in 1991, provides music and cultural education through instruction and performance of choral music. Comprised of five youth choirs for children aged pre-K through grade ten, LCC has brought choral education and training to thousands of youth in our community. LCC has traveled around the world singing in prestigious venues and collaborating with esteemed composers and music educators. LCC has been noted in different publications as being one of the best children’s choirs in the country. 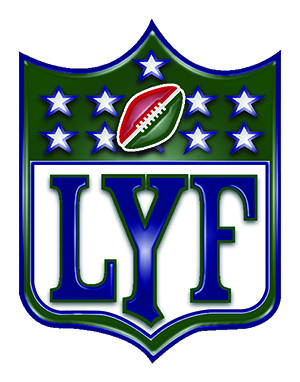 Lawrence Youth Football started in 1963 and provides Tackle and Flag Football for grades Kindergarten through 7th, playing our games at Youth Sports Complex in Lawrence. families watching and participating in Flag Football, Tackle Football and Cheerleading usually followed by a picnic. Congratulations to our 2018 Charities. Come out to our events, participate in our activities, buy our t-shirts, and help support local children's charities in the Lawrence, Kansas community! Click here for a complete list of the St. Pat's Beneficiaries since 1988.